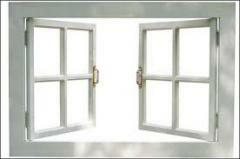 The following are the things required to fabricate a uPVC Door & Window. 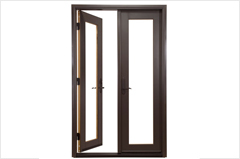 The profiles are hollow, multi-chambered and steel reinforced with an outer wall thickness of 2. 2 mm. 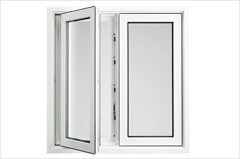 The window unit is designed with all corners, transom/mullion joints mitered and fusion welded. 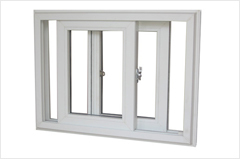 The entire window is steel reinforced, which further increases the structural integrity of the frame. 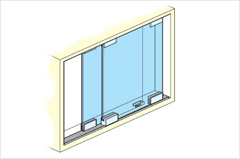 The window unit is designed such that water drainage does not pass through the reinforcement chamber. The product is free from all sharp edges and blurs. all hardware including its fixings is of materials resistant to or protected against atmospheric corrosion. Where hardware is fixed through the reinforcement, all screws penetrate the reinforcement by at least 2 mm. The windows incorporate a large variety of security devices such as multi-point locking including espagnolettes with mushroom headed catch. 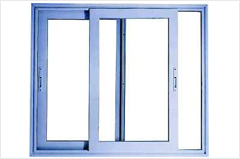 Handles and locks are designed so that they cannot be released from the outside by any mechanism. The Window Systems can be fixed directly to the brickwork or surrounding structure using proprietary fixings and silicon sealant. 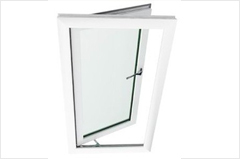 Alternatively, a variable fixing plug fixed to the outside of the frame can be simply fixed to the structure, no matter what the cavity width, no timber or other sub frames are necessary. 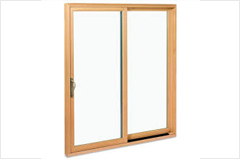 The Window System can be internally or externally glazed with single glazing in 4mm, 5mm, 6mm and double-glazing upto 30mm.